Teamwork is an intricate process that can lead to positive outcomes in patient care, reduce the cost of healthcare, improve staff retention and increase job satisfaction. Building a successful team takes time and effort with the goal being a team that complements each other’s skills, communicates openly, holds each team member accountable and shares a vision of what the team hopes to accomplish. The heart of teamwork is not about each individual contribution but how each individual sees his/her contribution as working together toward a common goal. Nurses have strived to be a collaborative part of the healthcare team and have been sharing concerns about the work environment in healthcare today. They share a goal of improving the work conditions to improve patient care, prevent burnout and keep nurses from leaving the field. This article explores what makes an effective team and how that impacts the staff and patient care. Authentic leadership can be a challenge to find in the hierarchy of health care. An effective nurse leader must trust his/her staff, work to create a shared vision among staff, collaborate on department needs and create a healthy work environment where the individual’s needs are given as much attention as the patient’s needs. It has been my experience that while many managers say that these items are a priority for the team, the actions of the leader seldom support these goals. Nurses are regularly encouraged to work shifts without a lunch break, come into work on days off and ignore other personal needs. While this may not be conveyed in an overt statement, the sentiment is there each time one more call light is answered before lunch because of fear of low patient satisfaction scores, or the dreaded call to come in on a day off is received. A true leader looks for ways to ensure staff take breaks, explores other means of staffing the unit when short and regularly checks in with staff to see how he/she is achieving work-life balance. 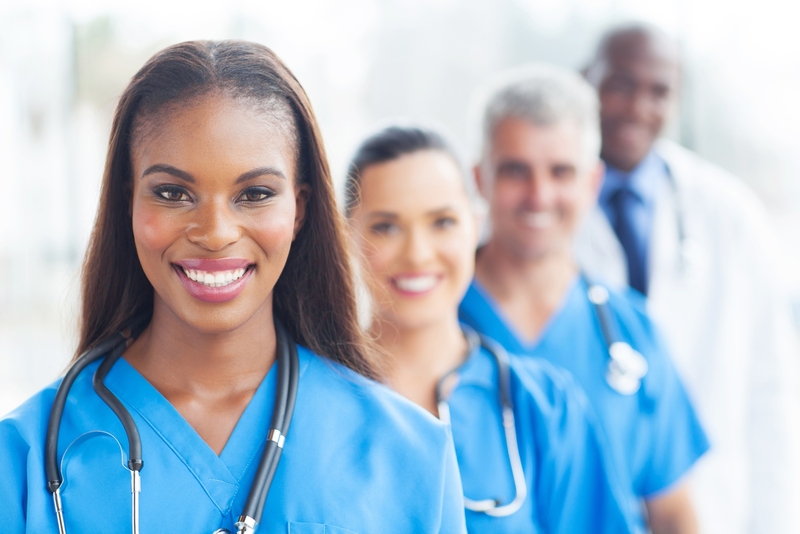 With the predicted nursing shortage upon us, it is vital that nurses work together to create an environment where effective teamwork is the rule and not the exception. The literature has shown that in addition to creating a desirable work environment, working as part of a functional, dynamic team increases the quality of patient care, reduces morbidity, and increases patient safety. By paying attention to building relationships among the team, the nurse creates a setting where all voices are heard and all opinions are respected. Team members take satisfaction in the work that is done. When disagreements arise, instead of anger and blame, functional teams explore the differences of opinion and can agree to respectfully disagree. When one is part of an effective team, one is more likely to be satisfied with the work that is done and less likely to look for work elsewhere. A team that collaborates well creates a setting where patients receive excellent care. The effective team understands that each person’s opinion is valid and worthy of consideration. Staff is empowered to communicate among themselves at all times. When there is a lack of collaboration, obstacles occur that can become the basis for poor care at best, and a sentinel event at worse. When reviewing incident reports regarding errors in patient care, many times a breakdown in communication can be found. Developing a functional team takes work. It begins with the hiring process where one works to hire a candidate that understands the purpose of the team and has a demonstrated history of working as part of a functional team. It is vitally important that the leader empowers his/her staff and gives priority to continuous development of the team. Team members should work to understand differences, communicate in a way that fosters open curiosity with a lack of judgment, and move from conflict to collaboration. While the manager may be responsible for hiring the right person, it is the responsibility of the entire team to work on these other points. Team building is any activity that cultivates individuals to participate together in an action. It can be as simple as staff taking breaks together or as elaborate as a staff retreat in the mountains. Approaches to team building are as varied as the businesses and teams that run them. In healthcare, team building activities often take place during staff meetings. While these activities can be effective, I believe that participating in an activity that is not directly related to work and takes place outside of the work setting creates an alternative scenario that is ripe for developing a dynamic team that is ready to perform at a higher level. By taking the team out of the environment they are used to, the stage is set for an out-of-the-ordinary experience to create an extraordinary team. Building an effective team is an ongoing process that takes commitment by leadership and each team member. Building on a foundation of trust, team members that share a vision must constantly work to communicate and collaborate in a way that is respectful of each person’s differences. A high-functioning team celebrates the diversity of knowledge, experiences and opinions of each team member. This creates an environment of safety and healing for the patient and is directly related to patient outcomes. A high-functioning team also creates a desirable work environment that increases job satisfaction, reduces burnout and retains nurses.